Bazleh, E., & Yarahmadzehi, N. (2012). The effects of applying Betts’ Autonomous Learner Model on Iranian Students. Studies in Self-Access Learning Journal, 3(3), 310-321. Classroom-based, teacher-directed language learning has been dominant in language teaching and learning for decades; however, the notion of autonomy is not novel to language teachers. Since the publication of Holec’s book, Autonomy and Foreign Language Learning (1981), autonomy in language learning has been a significant issue for discussion in relation to language learning practices and language teaching principles. 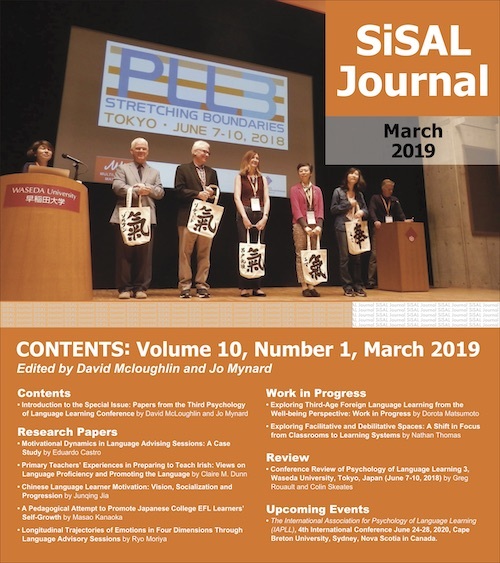 Many ESL researchers have turned their attention to learner autonomy in classroom settings; however, learner autonomy in the Iranian context within self-access settings, classroom settings, and school curriculum has not been adequately addressed in the literature. To fill the research gap mentioned above, the present study aims to determine: 1. if Betts’s Autonomous Learner Model (Betts & Kercher, 1999) has any significant effect in terms of students’ self-directed learning readiness, and 2. if Betts’s Autonomous Learner Model has any significant effect on students’ English language proficiency. Adopting a quasi-experimental design, the study involved a comparison between the experimental and the control group. Two instruments were used: Gugliemino’s (1977) Self-Directed Learning Readiness Scale (SDLRS); and standardized TOEFL test. 30 students (group A) were taught English based on a pedagogical model, which blended Betts’s ALM with classroom instruction and 30 students (group B) were taught through a traditional teacher-directed method. Finally, after six months of treatment, TOEFL test and SDLRS test were administered as the post-test and the results were analyzed by means of SPSS software. The results showed that ALM can work with Iranian students as evidenced by generally average performance on SDLRS and TOEFL post-tests. Key words: Learner Autonomy, Autonomous Learner, Autonomous Learner Model. Since the publication of Holec’s book, Autonomy and Foreign Language Learning (1981), autonomy in language learning has been a significant issue for discussion in relation to language learning practices and language teaching principles. Holec (1981) defines learner autonomy as “the ability to take charge of one’s own learning” and noting that this ability “is not inborn but must be acquired either by natural means or by formal learning” (p. 3). Taking charge according to Holec (1981, cited in Kumaravadivelu, 2006) means to have and to hold the responsibility for planning, for defining contents and progressions, for selecting methods and techniques to be used, for monitoring learning progress, and finally for evaluating what has been acquired or self-assessment. Dickinson (1994, p. 2) believes that autonomy is “an attitude to learning rather than a methodology.” Benson (2003) argues that “we cannot teach students to become more autonomous… (But) we can create the atmosphere and conditions in which they will feel encouraged to develop the autonomy they already have” (p. 305). Does the application of the Autonomous Learner Model have an effect on students’ self-directed learning readiness? Does the application of the Autonomous Learner Model have an effect on students’ English language proficiency? 60 students were chosen from learners of an English language institution located in the city of Fasa, Fars province, 30 females and 30 males, ranging in age from 15 to 19. They were at a low intermediate level of English proficiency. It was a general English proficiency course which focused on four language skills namely, speaking, listening, reading, and writing. The participants’ first language was Farsi. The length of their English study was 4 to 5 years. The students formed two teaching classes: one class (group A) was involved in the experiment while the other class (group B) was taught in a traditional teacher-directed way which is the main approach in Iran. The classes were held three days a week for twenty weeks. Each session was two hours. A standardized proficiency test, TOEFL (taken from Nolan-Woods & Broukal, 1991), was used to determine both groups A and B levels’ of English proficiency. The test was administered twice, once at the beginning and once at the end of the course. The SDLRS was designed by Gugielmino in 1977 It is a 58-item, five-point Likert scale instrument, which measures a total score for self-directed learning readiness. Since its creation, its construct validity has been confirmed through numerous studies. It is generally accepted as the most valid and widely used instrument of its kind. Scale questions were presented in English to avoid measurement error which could be attributed to translation of the scale into Farsi. Scale instruction was written in Farsi so that there would be no misunderstanding. The major goal of the ALM is to facilitate the growth of students as independent, self-directed learners, with the development of skills, concepts, and positive attitudes within the cognitive, emotional, and social domains in order to initiate their learning and evaluate its outcome. In other words, the model aims at helping students become 21st century learners through the use of activities in the five major dimensions of the model. The five dimensions of the model are: orientation, individual development, enrichment, seminars, and in-depth study. In order to meet objectives of the five dimensions of the model, different activities of each dimension were selected and implemented in the experimental group classroom. The activities are presented in Table 1. It should be emphasized that the teaching material was the same, and the same teacher taught both groups A and B. Group A’s teaching was based on a pedagogical model, which blended Betts’ ALM (Betts & Kercher,1999) with classroom-based instruction. Orientation dimension: Students first filled in a Multiple Intelligences Worksheet to find out what their different multiple intelligences are, which they shared with their teacher. Students did group-building activities to develop a cohesive group. In ALM, group learning which holds the team and each individual accountable for learning the materials is highly recommended. Betts and Kercher (1999) believe that “communication, trust, acceptance, and openness are essential ingredients for the successful development of positive group interaction throughout the model” (p. 95). Temperature Readings activity allows learners to take their emotional temperature which is one type of affective strategies based on Oxford’s (1990) division. This affective exercise allows students to share their emotional ‘temperature’ and learn to read one another’s ‘thermometers.’ Then, they should be able to manage their emotions, which mean they should be able to monitor and regulate their feelings so they aid rather than impede the handling of situations. Individual Development: Students did Inter/ Intra Personal activities which include Lifelong Notebook, assessments relating to Six Selves which aimed at developing in students a deeper awareness of life-long learning, and apply the results to their own life. The students were asked to add information to all ten sections of the Lifelong Notebook throughout the next two years. The ten sections included lifelong reading list, provocative quotes, provocative questions, goals and dreams, people and places, adventures and experiences, areas of possible study, favorite friends and relatives, poems and especial writings, and miscellaneous. Technology activities which include Technology Matrix, and Collage provide students with the opportunity to identify the technology available in the world today, decide what technology is needed in the next few months and the next year, and applying what they know how to do today and learn what they want to use in the near future. Organizational Skills activities which include Life Management, Goal Setting, and Time Management were also implemented. Good life management ensures that every aspect of life grows as it should. Without life management, it is easy to leave out some aspects of personal growth while overemphasizing the others. The Life Management activity provides an opportunity for learners to pay attention to different areas of their lives and indicate their degree of satisfaction in each of the areas. This way they realize the truth of where they actually are, and this realization in turn gives them the motivation to do something about it. Goal setting involves learners in determining what they want to accomplish within a stated time period. The Goal Setting activity offers learners a chance to set goals and prioritize them and the Time Management activity familiarizes learners with the strategies to manage their time and use time creatively. Students must be able to manage their time. Time management involves scheduling, planning, and managing one’s study time and this involves setting aside time for study, using that study time effectively, and setting realistic goals and timetables for their studies. Moon (2002, p. 19) quotes Csikszentmihalyi (1997) who asserts that “time is the ultimate scarce source that we have.” (See Betts & Kercher, (1999) for more details about the activities). Enrichment: Enrichment provides opportunities for students to work with authentic materials which they can easily relate to and are interested in. Students were encouraged to begin exploration by finding out what is out there for learning English, and bringing in the English they have found on their own. They were asked to explore the topic of language learning and technology. The objectives were to learn how to listen and how to learn about topics where there is little or no knowledge and to share the new knowledge verbally with the rest of the class. The process of exploration is never completed, for there is always something new to learn. After that, they were asked to firstly report on what they have done to enhance their English outside the class, and secondly present their findings to the class. Students were asked to use their notebooks as records of the English they discovered on their own (See Betts & Kercher, 1999). Research investigations provide learners with opportunities to participate in a longer term commitment to a topic. Each group was asked to articulate their topic. The teacher only acted as a facilitator, offering support and guidance through the process where necessary. Learners completed the proposal. Topics of interest to students became central to the research investigations, which included “the effects of starving or fasting on the body”, “the life of Coco, the designer of Chanel,” “Mahtma Gandhi” (students learned how positive attitudes allowed people to overcome hardships or accomplish great feats), and “the life of highly critical and creative thinkers like Socrates and Plato.” By selecting such topics and getting familiar with those who had highly critical and creative thinking, students were able to discover for themselves the characteristics of good thinking. Once each group selected a topic, they began the investigation by writing questions about their topics. Then, they began collecting data through different sources of information, for example books, internet searches, and videos. The final steps, presentation and evaluation, not only put closure to the students’ investigations but also gave them the opportunity to reflect on how they learned so that they were able to talk to other students about formulating questions, gathering and organizing information, and developing a final mini-product. Most groups used Microsoft PowerPoint presentation software. The groups which investigated the life of Socrates and Plato, developed a questionnaire that they used in an interview with one of the members who took the roles of Socrates and Plato. The students conducted the interview, and shared their knowledge with the audience by actually becoming that person. Other students were also allowed to ask questions when the interview was over. Each group completed evaluation forms. Evaluations focused on what the learner had learned and what she or he might have done differently in order to improve the next piece of work. The teacher also gave feedback on their work. Investigations trained students in specific skills they would need to conduct research which would be needed at the next stage. Seminars: Learners in small groups researched a topic, presented it as a seminar to the rest of the class, and assessed it using their own selected and developed criteria. The seminars change the students’ role to learners. The topics learners selected included: “English speaking countries’ holidays, customs, values and traditions that are different from theirs,” “games,” “the life of Elizabeth Taylor.” Groups presented general information to their classmates through the use of lectures and then engaged the rest of the class in generating new ideas and opinions, they discussed the topic, and finally through a discussion of what had been learned, the groups brought the discussion to a closure (See Betts & Kercher, 1999). In-depth study: At the end of this stage, by completing an in-depth study, the learner has the ability to perform at the highest level of learning. At this point students are becoming learners and researchers. This dimension provides students with the opportunity to conduct research. Students pursued areas of interest in long-term individual or small-group studies. They were asked to submit their proposals. Most learners decided to research their favorite topics in English which included: “what are the main majors of biology at different universities in Iran and their career possibilities,” “what is the best way to lose weight,” “which jobs are most needed in near future,” and “what can be done to reduce inflation” Students were asked to define a problem, then, by brainstorming, students identified relevant information. The students interviewed a person who could help them with their topics. For example, for losing weight the student interviewed a physician and a personal trainer. After that, they were asked to generate specific hypotheses beginning with words such as “… is the best way to lose weight because…” Next, they wrote out specific, step-by-step instructions for testing their hypotheses, trying to control as many variables as possible. For example, one student wrote: “1. doing exercise for two months, following a vegetarian diet for 2 months, taking weight loss pills for two months; 2. weigh the participants before and after the experiment; 3. compare the results for the different treatments.” Finally, students were asked to analyze their information and state their conclusions. After the course finished, students were required to continue their work in their own groups or individually as far as possible. Other phases of their work were explained to them. This stage of the course was not monitored or assessed by the teacher. The quantitative data from SDLRS and TOEFL test were analyzed using SPSS to obtain descriptive and inferential statistical results (Table 2). The average score for adults completing SDLRS questionnaire is 214 and the standard deviation is 25.59. As table 2 indicates, the pre-test mean score of SDLRS of group A and B are both 170. 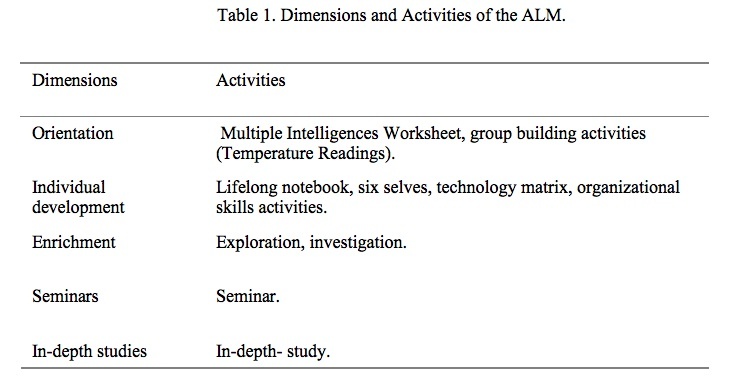 Both groups’ readiness for self-directed learning, according to Table 2, was below the adult average before the intervention. The post-test mean scores of group A and B are respectively 230 and 180. The mean scores of the two groups are not the same. After the intervention, the control group’s (B) readiness for self-directed learning was still below average but, the experimental group’s (A) readiness for self-directed learning increased to around average. As shown in Table 3, the pre-test mean scores of group A and B respectively are 360 and 370 and the standard deviations are 22.6 and 24.4. The post-test mean scores of groups A and B respectively are 420 and 410 and the standard deviations are 33.7 and 34.1. Before the intervention, the English proficiency level of both groups was low intermediate, but after the intervention period, the English proficiency level of both groups improved to intermediate level. Table 4 indicates that the difference between SDLRS scores of both groups A and B is not statistically significant. Table 5 represents the t-test results for examining the difference between both groups A and B’s post-test mean scores. The value of P is smaller than .05 which means that the difference between SDLRS mean scores of both groups is statistically significant. The mean score and the standard deviation of group A are 230 and 29.2 respectively. The mean score and the standard deviation of group B are 180 and 36.7, respectively. As table 6 indicates the difference between TOEFL scores of groups A and B is not statistically significant. Table 7 represents the t-test results for examining the difference between both groups A and B’s post-test mean scores. P value is smaller than .05 which means that the difference between TOEFL mean scores of both groups is statistically significant. The mean score and the standard deviation of group A are 420 and 33.7 respectively. The mean score and the standard deviation of group B are 410 and 34.1 respectively. In other words, group A has a statistically significantly higher mean score on TOEFL than group B. The investigation showed a statistically significant increase in the experimental group’s TOEFL and SDLRS scores. On the whole, most of the learners achieved success in their language learning. The results indicated that there is a statistically significant difference between the mean score of both groups A and B (t (58) =-15.92, p=.000) on TOEFL scores. In other words, group A had a statistically significantly higher mean score on TOEFL than group B. The difference between both groups in the post-test was also statistically significant (t (58) =-7.33, p=.000) on SDLRS test. In other words, group A had a statistically significantly higher mean score on SDLRS than group B. The results showed that ALM can work with Iranian students as evidenced by generally average performance on SDLRS and TOEFL post-tests. The model may have better effects if it is applied in earlier education. Applying ALM earlier has this advantage that it will not be necessary to try to change students’ attitudes regarding learning. In addition, students who became familiar with the research style and more autonomous approaches in the first grade would be able to take full advantage of the skills and knowledge they gained through this model in their future education. The research indicates that attempts to incorporate autonomous learning into school curriculum would be beneficial. The samples consisted of a small number of participants. It is clear, therefore, that these samples are not representative of Iranian students in general. The findings related to the effects of applying this model would be more revealing and robust if students could be observed for a longer period of time, in later stages of their education, and with increased sample size which was not feasible within the scope of present work. The effects of this model can also be investigated with students at other levels of education. Researchers could investigate the effects of the whole version of this model over a period of at least three years. Nahid, Yarahmadzehi is a lecturer and head of the English language department at Chabahar Maritime University, where she teaches and supervises MA students. Elham, Bazleh is an MA student at the Chabahar Maritime University, Iran. Benson, P. (2003). Learner autonomy in the classroom. In D. Nunan (Ed. ), Practical English language teaching (pp. 289-308). New York: McGraw Hill. Betts, G.T., & Kercher, J. K. (1999). The autonomous learner model: Optimizing ability. Greeley, CO: ALPS. Dickinson, L. (1994). Learner autonomy: What, why, and how. In Leffa, V. J. (Ed. ), Autonomy in language learning (pp. 1-12). Universidade Federal do Rio Grande do Sul. Farhady, H. Jafarpour, A., & Birjandi, P. (2007). Testing language skills: From theory to practice. Tehran: The Organization for Researching and Composing University Textbook in Humanities. Guglielmino, L. M. (1977). Development of the self-directed learning readiness scale. Georgia, GA: University of Georgia. Holec, H. (1981). Autonomy and foreign language learning. Oxford, UK: Pergamon. Kumaravadivelu, B. (2006). Understanding language teaching: From method to postmethod. London, UK: LEA. Moon, S. M. (2002). Developing personal talent. In Mönks F. J., & Wagner, H. (Eds. ), Personal talent, intelligence and special abilities. Development of human potential: Investment into our future (pp. 11-21). Bonn, Germany: K.H Bock. Nolan-Woods, E., & Broukal, M. (1991). NTC’s preparation for the TOEFL. U.S.A.: NTC. Oxford, R. (1990). Language learning strategies: What every teacher should know. Rowley, MA: Newbury House.